When researching a printer, you may have noticed the term “duty cycle” mentioned along with other terms like speed and printer resolution. The duty cycle refers to the number of pages that can be printed in a certain period of time without potentially causing problems and failures. This number is often given as a maximum monthly duty cycle. For example, a business printer might have a maximum monthly duty cycle of 20,000 pages. This means that printing more than 20,000 pages in a single month is beyond the recommendation of the manufacturer, and could cause the machine to exhibit problems or even fail. While the maximum monthly duty cycle is a guideline, is it by no means a guaranteed number of prints, and users should not be surprised if issues start to arise long before that number of prints has been reached. A recommended monthly duty cycle (or recommended print volume) is often given in addition to the maximum. This is often a more realistic expectation of the duty cycle a printer is designed to produce on a regular basis. For example, a laser printer like the HP P2035 has a maximum monthly duty cycle of 25,000 pages, but the recommended monthly print volume is only 500 to 2,500 pages. While printing 25,000 pages in a month is certainly within its specifications, users who do this on a regular basis may begin to see more frequent problems with their device. Experts in the printing industry suggest purchasing a unit that has a maximum monthly duty cycle that is double the standard amount of prints users are estimated to produce. For example, if you print an average of 400 pages per day, multiply this times 30, and you get 12,000 prints per month. It would be a good idea to find a machine with a maximum monthly duty cycle of at least 24,000 pages. An even higher duty cycle is recommended for even more durability, as long as your budget allows it. 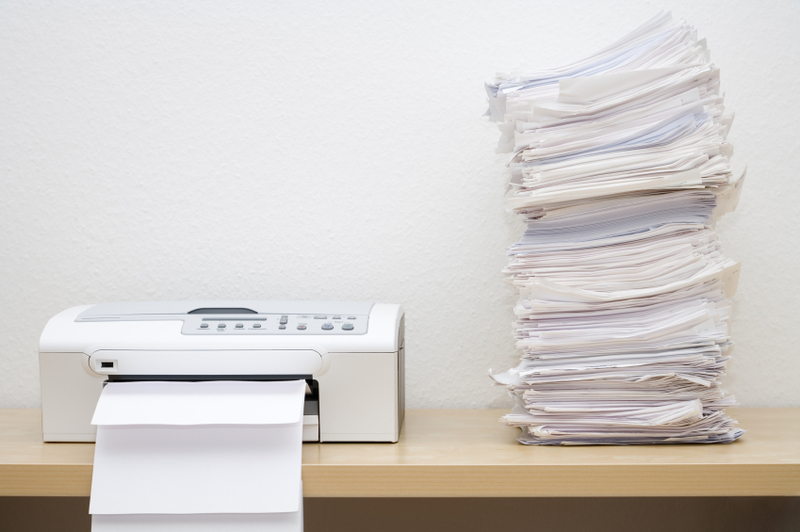 These duty cycles are not provided to limit productivity, but rather to prevent users from overusing a printer and ultimately damaging a piece of office equipment that would otherwise be durable. They also make a good comparison number when choosing a printer, as those with higher numbers will be more able to handle higher printing volumes. Make sure to pay attention to the monthly and recommended duty cycles when searching for a new printer, and stay close to the recommended average duty cycle in order to keep your machine running as long as possible.